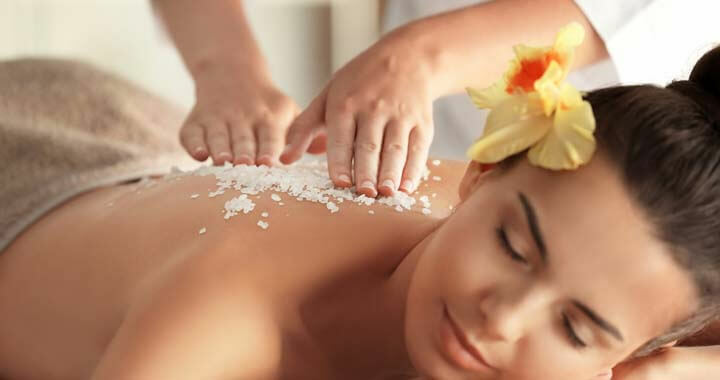 Cheltenham Reflexology and Massage offer a Purifying and De-stressing Back Treatment, which includes a rejuvenating back scrub. Firstly, experience a double cleanse of the skin on your back, with our Dermalogica cleanser. A warming body exfoliator or salt scrub will then be massaged into your skin to loosen dead skin cells that trap your skin’s pores. Hot towels will be applied and used to remove the product. All this is then followed with a relaxing back massage with aromatherapy oils. *If you want to have a back mask added to your treatment opt for a 6o minute treatment. Enjoy a scalp massage whilst the masque is penetrating into your skin.